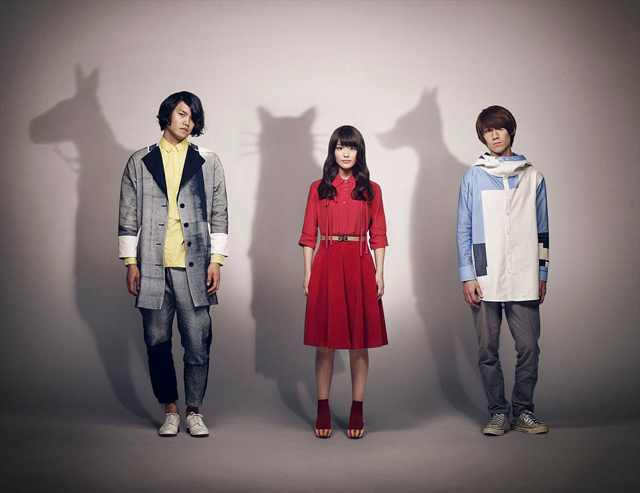 Scenarioart is a three-piece band formed by Kosuke Hayashi (G/Vo), Kumiko Hattori (Dr./Vo) and Takahisa Yamashita (Ba/BGV). Their music sounds like a fantasy story with their catchy melody. Their single “White Raincoat Man” was sold exclusively at Tower Records and ranked 2nd in Oricon Weekly Indie Chart in April 2013. On June 19th they released their national distributed record “-DRAMATICS-”. The band made a major label debut in January 2014.